Aprovia Top fungicide is the next generation fungicide for control of troublesome diseases in cucurbit and fruiting vegetables and pulse crops. Containing Solatenol® fungicide and the highly effective difenoconazole, Aprovia Top serves as a valuable resistance management tool. 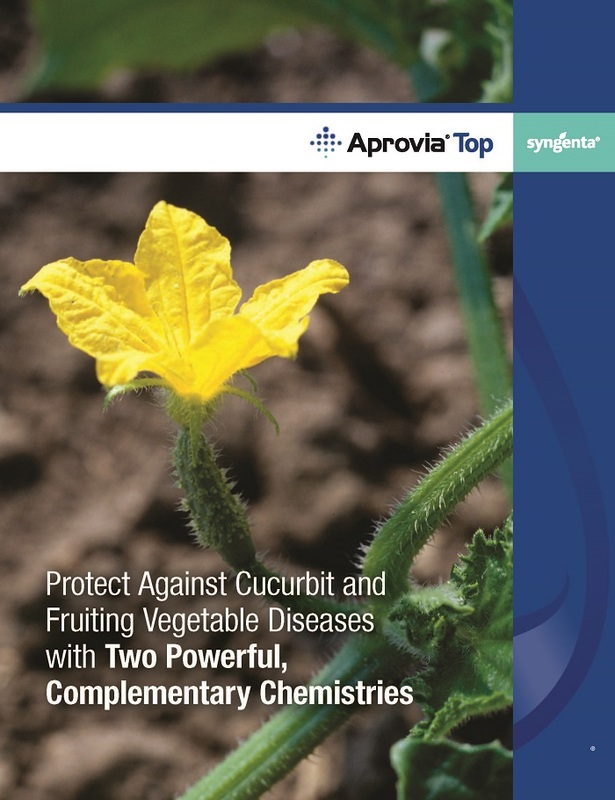 Aprovia Top fungicide offers next generation cucurbit and fruiting vegetable disease control. Containing Solatenol fungicide and the highly effective difenoconazole, Aprovia Top serves as a valuable resistance management tool. Talk to your local Syngenta retailer to find out how Aprovia Top fungicide can fit into your disease management program. Aprovia and the Syngenta logo are trademarks of a Syngenta Group Company.